This recipe originated being served simply as mashed sweet potatoes and was a favorite of our infant Kaia. As the years have passed and she has grown into toddler-hood the dish grew as well into sweet potato mini muffins. These too are a favorite of hers and can easily be packed away in her lunch for pre-school and is packed with nutrients and flavor! In a medium bowl combine, flour, baking powder, cinnamon, nutmeg and a pinch of salt; sift together using a fork. In a separate bowl blend together brown sugar, vegetable oil, egg, orange zest and mashed sweet potato until well combined. Pour the wet ingredients into the dry bowl and using a wooden spoon stir just until combined. The batter should be lumpy. 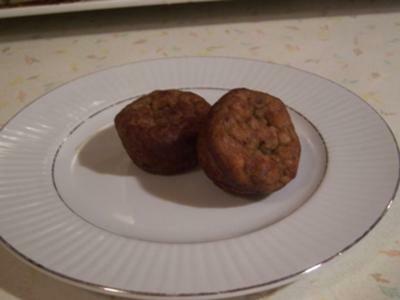 Using melon ball or spoon, scoop batter into lightly greased mini muffin tins about ¾ full. Bake 8 to 10 minutes, just until golden and toothpick comes out clean. If you press on the muffin top it should pop right back up. Using a knife loosen muffins to release from pan and serve or store in an air tight container up to 2 or 3 days.